Farriers and Blacksmiths Directory - O Horse! I am a horse owner myself, so I always offer professional, courteous service to you and your horse(s). I have been on the customer side, and I know what is important to do for my customers, as well as what not to do! My main goals are to have sound, healthy horses and satisfied customers. I am always willing to discuss your horses and their issues and also to work with your vet if necessary. I make it a point to treat all horses the same regardless of if they are a trail horse, a show horse, or a race horse. Every horse gets the very best... every time! Shoeing of all horses. Can't make it to our shop? We can come to you with a road ready farrier service. A Natural Hoof, LLC offers natural hoof care services including shoe removal, barefoot trimming, and boot fitting in the Sullivan County, Hawkins County, and surrounding area of Northeast Tennessee. Call us today to schedule an appointment. 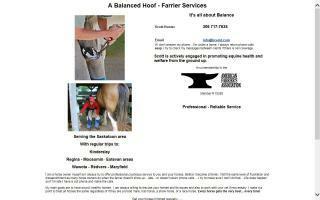 Professional, dependable hoof care for your horse. 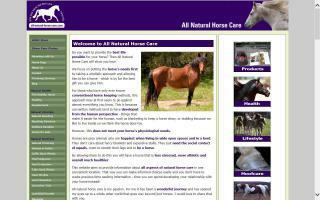 Information on all aspects of natural horse care including hoof trimming, boarding, nutrition, and health. AFA Certified Journeyman Farrier specializing in hot shoeing and handmade shoes. Graduate of Kentucky Horseshoeing School. Avid competitor in horseshoeing competitions. Participant in continuing education clinics. Member of AFA & OFA. Serving Oxford Mills, Ontario, and surrounding areas. Please call A.J. @ 613-806-9229. Advanced farrier certification. All farrier services offered. - Email, call, or text for more information or an appointment. Certified Journeyman Farrier. I will handle all your farrier needs; specializing in laminitis, founder, navicular, and natural barefoot horses. Will provide references to all worked performed. We handle your horse with a totally different mindset and work each horse through its own set of problems. Will break young colts in, too - identifying trimming and shoeing needs. We keep records on all worked performed for future needs. 100% satisfaction guaranteed.